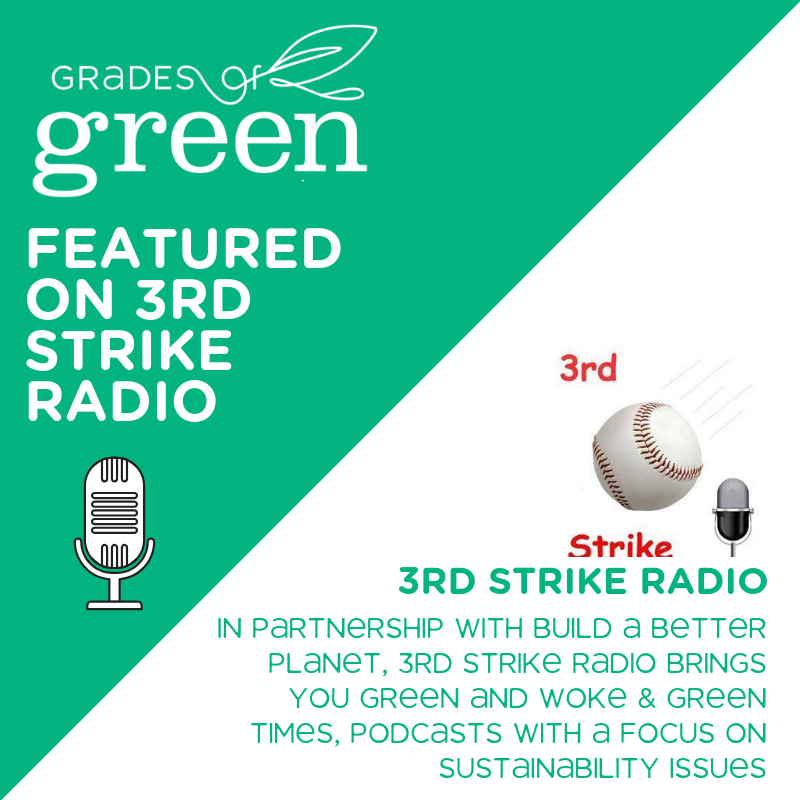 Grades of Green is currently featured on 3rd Strike Radio, Green & Woke, and Green Times. As registration for the Waste Campaign nears a close, Build a Better Planet has offered to help us reach new student groups around the world. In partnership with Build a Better Planet, 3rd Strike Radio presents environmental awareness podcasts, Green & Woke and Green Times, among others. Now through January 22nd, all Build a Better Planet podcasts feature a public service announcement from Grades of Green, asking student change-makers to answer the call. The PSA will be running in English, Spanish, and Arabic. The Waste Campaign is one of the many ways our student Eco-Leaders take action in their community. Using the Grades of Green Waste Campaign Handbook as a guide, students research the environmental issues in their community, implement waste reduction activities, and brainstorm sustainability solutions. Students are encouraged to follow their interests and put their sustainability solutions into action. At the end of this 4-month competition, Campaign Teams submit their sustainability solutions and their projects are judged by a panel of environmental experts. Five to seven projects will be selected to receive Eco-Grants to fund their sustainability solution. Do you know Student Leaders who are ready to solve sustainability issues in their community? There are only 6 days left to join the Waste Campaign and qualify for Eco-Grants. Don't wait! Register now!